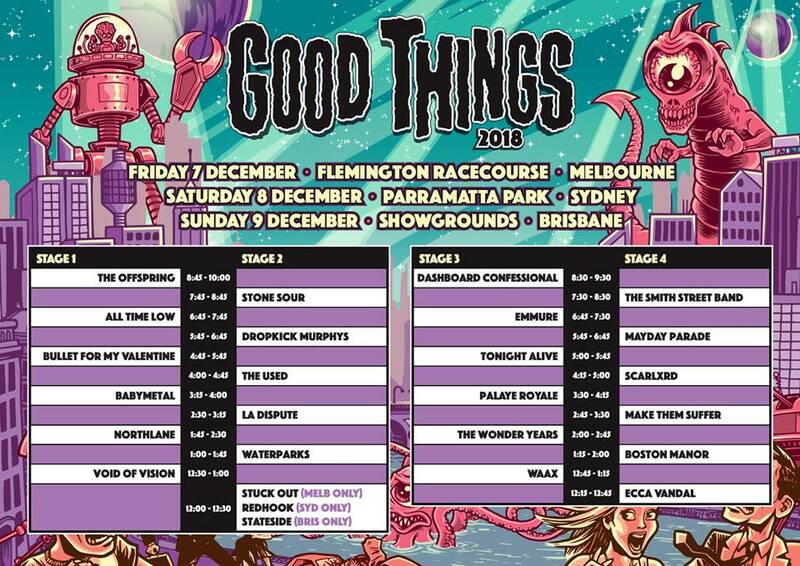 Good Things Festival is the latest to hit Australian shores. This heavy music festival is doing a short run on the East Coast through the start of December. Good Things hits Melbourne’s Flemington Racecourse on December 7th, Sydney’s Parramatta Park on December 8th and finally Brisbane’s Showgrounds on December 9th. Huge acts are making their way to Australia for Good Things. The festival will be headlined by The Offspring (who are playing the entirety of their 1994 album Smash) and Stone Sour. They’ll also be joined by the likes of All Time Low, Bullet For My Valentine, Baby Metal, Mayday Parade and heaps more. 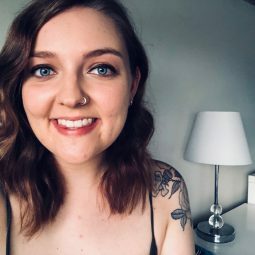 This festival also boasts a healthy amount of Australian acts with The Smith Street Band, Tonight Alive, Northlane, WAAX, Ecca Vandal and a few more on the lineup. Good Things have also just announced the local supports that will be opening the festival in each city. Melbourne will be joined by Stuck Out, Sydney has Redhook and Brisbane’s lineup has gained locals Stateside! The set times have just been released so it’s time to start planning your strategy for the festival. It’s a day of back-to-back sets so we suggest choosing wisely. A great way to keep track of it is through the Good Things Festival app so you can bookmark the bands you want to catch and make sure you make it in time for each set. Tickets are still available to all three festivals here. This is a great festival for heavy music fans isn’t one to miss!